Wall Finishing | CMI Marketing Sdn. Bhd. 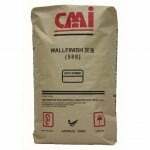 CMI WALLFINISH 588 is a high quality polymer modified water-resistant cement-based thin finishing coat for plastered walls or ceilings. It is also good for surface improvement works to block wall and wet rendered wall surfaces. CMI WALLFINISH 588 should not be used on painted surfaces. CMI RC COATING 2781 is a high quality polymer modified water-resistant cement-based thin plaster for concrete walls or ceilings. It is also good for surface improvement works to partially wet rendered wall surfaces. 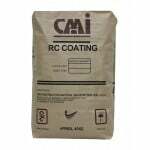 CMI RC COATING 2781 should not be used on painted surfaces.